Back in the time when I was writing my article on the different methods to overcome writer’s block, I discovered the exceptional positive impact of orchestral movie soundtracks in regards to the stimulation of my creativity, as a lot of these songs helped me to get inspired in an amazingly refreshing way. Within a couple of months, I found more and more inspiring movie scores and started to put on my headphones and play these songs whenever I needed to be creative in any kinds of ways. I don’t know exactly how to describe it, but whenever I listened to some of these highly inspiring songs (for example Time by Hans Zimmer) I reach an “epic state of mind”, where I’m totally motivated, inspired and carried away by enthusiasm for the project I’m working at, especially when that project requires creativity. It’s quite difficult to describe this state of mind, but whatever it is, it helps me to focus on my work and come up with epic ideas and thoughts. I guess the fact that there are no distracting vocals in these orchestral songs helps me not to get sidetracked from what I’m doing, but to focus even more and come up with even better ideas. In case you are also dependent on your creativity I highly recommend you to test if orchestral movie soundtrack scores help you to enhance your creativity; after all, you have nothing to lose. It’s quite easy to put on headphones and play some inspiring movie songs, while you are writing a book/article/poem, painting on a scaffold/piece of paper, shooting/editing a photo or are doing any other kinds of creative stuff; and in case these songs help you to peak creativity and inspire you it was worth trying! As a side tip, you should favor movie soundtracks from movies that you really like, as the songs might elicit the emotions of the movie within you. With my attempt to find a way to enhance my creativity and to overcome the writer’s block I had discovered a completely new universe that I hadn’t noticed throughout my life, as with the research for my article about writer’s block I started to listen to movie scores for the very first time, without watching the movie. From this point onwards, I was keen to find as many inspiring orchestral movie soundtracks as possible, but unfortunately, I couldn’t find inspiring scores of popular & modern movies, which is why I started creating this collection. In the following, you’ll find some of my most favorite movie soundtracks that motivate me, enhance my creativity and help me whenever I’m facing a lack of inspiration. Please note, that this collection only includes modern scores of relatively new movies, as these are my personal favorites. Hans Zimmer, recognized as one of the most innovative composer Hollywood’s, created with his soundtrack for the theatrical movie Inception an outstanding masterpiece. His songs provoke emotions and create an amazingly epic feeling that precisely fits the action on the movie screen. His brooding bass line and the synths are an omnipresent part of the adventurous action scenes in the movie make it even more fascinating. Especially the songs “Dream is Collapsing“, “Dream Within A Dream” and “Time” are epic orchestral movie songs and always help me to catch inspirational ideas and thoughts, that often arise while further listening to the songs. Nevertheless, “Old Souls“, “Radical Notion“, “We Built Our Own World” and “528491” are thought provoking and inspiring masterpieces as well. At this point, I have to confess that I’ve never watched any movies of the Tron universe, so I have absolutely no clue what these movies are all about, nevertheless, the soundtrack that was composed by Daft Punk is a superb creation, especially when you like Daft Punk. Songs like “Outlands“, “C.L.U“, “Rinzler” and “Solar Sailer” are – in my opinion – the best songs of the Tron Legacy soundtrack and help me to get energized whenever I’m listening to them. Some of the tracks seem to have some influences of Hans Zimmer’s Inception soundtrack, but Daft Punk has included their typical style and vibes into the songs, which makes this score so unique and astonishingly different. Other songs that could be of interest for you (if you liked the ones named above) are “Armory“, “End of Line“, “Fall” and “The Game has Changed“. Hans Zimmer was the composer of the soundtracks to Batman Begins and The Dark Knight and created another two masterpieces that match the quality of his amazing score for Inception. Both of the soundtracks are completely different from each other, which is why both soundtracks sound so amazingly unique and come with some very inspiring songs. My personal favorites from both scores are “Like a Dog Chasing Cars” and “Agent of Chaos” [especially the part from 2:15 – 3:40 is epic and helped me to peak creativity quite often] (from The Dark Knight Soundtrack composer James Newton Howard); but also “Macrotus” and “Molussus” (both from the Batman Begins soundtrack) are stunning masterpieces that have helped me to become both motivated and excited and are worth listening. Furthermore, I also liked “Antrozous“, “Barbastella” from the Batman Begins score and “Aggressive Expansion“, “Harvey Two-Face“, “I’m not a Hero“, “Watch the World Burn” and “Why so serious?” from The Dark Knight soundtrack. The Book of Eli is a post-apocalyptic action film that was directed by the Hughes brothers and the vibe of this score composed by Atticus Ross fits perfect into the scenery of the movie. “The Passenger “and “The Journey” are my favorites of the soundtrack, as they are both inspiring and thought-provoking with their atmospheric and slightly violent tones. “Amen” and “Panoramic” are another two tracks that are worth listening, as the post-apocalyptic vibes surround you with a feeling of calmness (“Panoramic“) and intensity and inner excitement (“Amen“). I guess that the soundtrack score for Avatar was one of the most anticipated ones (besides Inception) in 2010, as it was reported that James Horner had worked for over a year to make this soundtrack a true masterpiece that would match James Cameron’s epic movie Avatar. My favorite of the soundtrack is called “Becoming one of “The People” Becoming one with Neytiri” and comes with stunning ethnic vocals and slight jungle rhythms in the background. Two other songs that are highly addictive and recommendable are “Quaritch” and “War” and might also help you to become inspired, especially when you have the impressive pictures of the movie in mind. Most of the critics considered the Soundtrack to the movie Avatar as a solid score that perfectly fits the fantastic scenery of the movie. Howard Shore composed the complete recordings for the Lord of the Rings trilogy and did an outstanding job with his soundtracks, as everyone could hear when watching the movie. Some might even go so far to say that the soundtracks for the Lord of the Rings trilogy are part of Shore’s best works, but whatever you call it; the songs for Lord of the Rings are epic, this is for sure. Every one of the three soundtracks contains highly inspirational songs, such as the – very commonly known – main theme “The Fellowship” (from “The Fellowship of the Ring” soundtrack). I cannot tell you how often this inspirational score bailed me when I was being stuck with writer’s block and couldn’t find the right inspiration or ideas. My favorite songs are “The Fellowship“, “Concerning Hobbits“, “The Ring goes South“,”Flight to the Ford” (from “The Lord of the Rings: The Fellowship of the Ring“); “Foundations of Stone“, “The White Rider“, “Helm’s Deep“, “Isengard Unleashed” (from “The Lord of the Rings: The Two Towers“); “Minas Morgul“, “The Ride of the Rohirrim“, “Anduril” and “The Return of the King” (from “Lord of the Rings: Return of the King“). Steve Jablonsky worked for seven years with the composer Harry Gregson-Williams for Remote Control Productions, which is headed by Hans Zimmer. After this, he became the music director for all movies that Michael Bay produced since 2005, inclusively the blockbuster Transformers. Jablonsky did a fantastic job and created a masterpiece with his score that people will remember for years to come. The transformers soundtrack that comes with excellent orchestral work is pretty close to being the perfect action score and was definitely one of the best scores in the year 2007. My favorite songs are “Autobots“, “Optimus“, “Arrival to Earth“, “Scorponok” and “No Sacrifice, no Victory“. Yet another score by Hans Zimmer that has made it into this collection. The reason that he is represented that much in the charts is not just because Hans Zimmer is my favorite composer, but simply because he makes so many fantastic and wonderful soundtracks. His score for The Last Samurai is when compared to soundtracks like Inception or Batman, quite different, as it is a more calm and peaceful soundtrack, whose songs often evolve from moments of peacefulness into moments of power, which perfectly resembles the atmosphere of the movie. My favorite songs are “Red Warrior“, “Taken“, “To Know My Enemy“, “A Way of Life” and “Idyll’s End“. The Fountain was a movie that I must have totally missed when it was in cinema; at least I haven’t seen any trailers or advertisements for it on TV. The storyline of the movie seems to be split into the past, the present and the far future and comprises the time span from 1000 years, accordingly to the trailer. The movie itself wasn’t a blockbuster and left the box office quite fast, but the motion picture score received a Grammy award, besides various nominations, which means that it could be part of the phenomenon where the score for the movie is better than the movie itself. Nevertheless, I gave the score a try and man, it was worth it! My favorite songs are “Tree of Life“, “Death is the Road to Awe“, “First Snow” and “The Last Man“. Okay, let’s finish this compilation of the best inspiring film scores with a classic. The score for The Last of the Mohicans is one of these scores that grow and become better the more you listen to it. In the beginning, it might not be an overwhelming experience, but the more often you listen to the songs the more will you discover the beauty of the score produced by Trevor Jones and Randy Edelman that perfectly resembles the intense story of the last Mohican. My favorite songs are “Last of the Mohicans (Theme)“, “The Kiss“, “Massacre/Canoes“, “Promentory” and “Front Battle“. How to use orchestral movie soundtracks to become inspired? This part is, after having found some inspiring and thought-provoking soundtracks quite easy: put on your headphones and turn on the music! Close your eyes and get inspired by the tones and sounds that form imaginative images within your mind. Don’t hesitate to start doing whatever comes into mind or turn on the music whenever you need to become inspired! 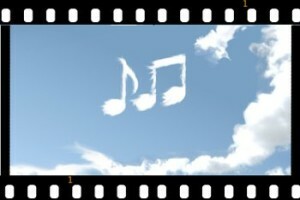 This collection of inspiring movie soundtracks was presented to you by our Personal Growth Blog. Thanks for the wonderful list. I would like to add “For The World” by Tan Dun from the movie Hero, “Chariots of Fire” by Vangelis. Also would add ” Arrival of the birds” by Johann Johannson from “The Theory of Everything”. Hi Julius, thanks for your great feedback, that’s highly appreciated! I’m glad you liked the soundtracks above! BTW: nice blog you’ve got about IM! ur’s list is absolutely true dude.. Y didn’t they make it to oscar. My Fav Hans Zimmer.. he’s amazing. Yeah,… Hans Zimmer is brilliant! Thanks for ya feedback! Check out on YouTube Hans Zimmer live at worlds end premiere, Hans and his team play a medley of the songs from the 3rd movie and the last 5 mins are incredible !!!! Joe you’re right, Hans Zimmer’s soundtrack on Pirates of the Caribbean 3 is fantastic, inclusively the track “drink up me hearties”, definitely agree with you! Just thought that I had already added 2 fantastic scores of Zimmer so that would have been too much of him, even though he is a fantastic musician! I added “drink up me hearties” to the list of the other inspiring songs, so thanks a lot for your recommendation! I was looking for this kind of background music. It helps a lot when you have to do something that you really not enjoying a lot 😉 or with making a plan how to conquer the world. For people who like Inception and Batman I would recommend THE MOON soundtrack – by CLINT MANSELL. And thanks a lot for your fantastic recommendation of Clint Mansell’s soundtrack to The Moon, I will definitely check it out! Hiya Septyan! Thanks for making me aware of the typo, I’ve corrected it! And thanks for your positive feedback, I’m glad the list helped you! A million thanks! Excellent list. Great job. Victor, thanks for the feedback! I’m happy you found what you were searching for! hey, this list is amazing steve. i listened to many of them, it was good. Vaibhav, I’m very glad that you like the list! Thanks a lot for your fantastic recommendations, I’ve included them into the list, where it says “more inspiring soundtracks”. Thanks again! thanks..steve for for including those songs…ro good of you. You’re welcome! Such fantastic suggestions like yours are always appreciated! Great job, off to itunes to catch up on the rest, thanks! And check out my site when you have a minute, www .moodtraining.com I think you’ll like. wow, that’s a great score! Thanks for the recommendation, I’m including it into the list if you don’t mind! Dude… how did you forget Conan the Barbarian theme by Basil Poledouris? Or Robocop theme? I’ve been a big fan of movie soundtracks for a while now and came across this site looking for new music to find. I was able to find a couple good tracks here, so thanks! In case anybody else is looking to expand their collection, I wanted to post some of my favorites that may not be listed here since many of my tops already are. No particular order. Enjoy! Jason, wow! That was a neat list! Thank you so much for the submission, I’ll include all of them into the article, if you don’t mind! Please do, thanks! I just hope others can enjoy them as much as me. Keep up the good work! Great list. But what’s up with all the comments having the same date – 26th 2011 wed? It’s a flaw in the theme-code that I’m not able to fix, so all comments display the date the article was published. As I say, I tried to fix it but I couldn’t come up with a solution that works. Unfortunately. UPDATE: I’ve fixed the error, now every comment should display the correct date when it was written. Glad I can check this issue from my to-do-list. Dont forget Clubbed to Death (Matrix). Epic one. Oh yeah, you’re so right! I’ve included this song, its epic as you said. John Barry – Dances with wolves, that soundtrack blew my mind! Top tracks is The End title, Two socks at play, Journey to fort Sedgewick, the wolf theme, The buffalo hunt… hell, all of them are epic! What a fantastic suggestion! I’ve included it into the article! Hi there, from Portugal! Thanks for your list, man. A lot of stuff that i like and knew. The Alll Spark – Transformers Score (By Steve Jablonsky) -> Surprised this one isn’t mentioned above. Maybe you missed it. Check it out, is amazing. Tomb Of The Primes – Transformers: Revenge Of The Fallen (by Steve Jablonsky) -> Similar to Infinite White, maybe. Amazing! The Avengers – The Avengers (by Alan Silbestri) -> Nice too. Hans Zimmer and Steve Jablonsky always there. Nice to see. It isn’t just me. BTW, i would say to everyone to hear the Scores from the 3 Transformers movies. It doesn’t matter if you like or hate it. Just do it, you’ll not regret it. As krishnan mentioned some comments above, There Is No Plan, Sentinel Prime, etc, from the DOTM, are fantastic. Hi Jorge, that was a fantastic suggestion, indeed! Thanks for making me aware that “The All Spark” was missing in this list. It seems I totally forgot it. Thanks again. It may be difficult to get rid of me now… but hey, it’s the last time! Sorry, i should have done it in my first comment. And that’s it. Arrival to Earth is my favourite of all, honestly, but there are a lot of fantastic songs out there. Thank you for your time, again. Over and out! Arrival to earth is one of my favourites as well. If you like Zimmer and Jablonsky, you might also like Zack Hemsey’s “Redemption” from The Town Soundtrack. If you don’t already know it. And you’re always welcome to make such fantastic suggestions! Thanks a lot for the sugestion, Steve! Didn’t know it. Really like it! One more for my collection. Music like this should be a part of evereyone’s MP3 Players, IPOD’s, Mobile phones, whatever. Or lifes, should i say. I appreciate your kind words. Congratulations to you too, it’s very difficult to find such a good list of epic music like the one you have here. It’s probabably the best one out there. Great work. The best for all from the ”Garden Planted by the Sea”. Take care! Fantastic taste in music, my friend. Thanks! By the way, Icarus is a fantastic song, I’ve included it in the article! Hey Steve i was looking for scores from western movies(cow boys and stuff) and i was asking do you have any idea about cool western movie scores that are inspirational like the book of Eli love the music but cant seem to find music similar to it so anything i sure will appreciate..
Am glad you came through, thank you Steve, am looking forward to this , by the way music from the fountain is amazing love the post, you should keep updating it…. I love listening to hans zimmer songs while I write. When I hear it, I can instantly imagine my characters doing something or feeling a certain way. It’s a great way to get out of writers block. May I recommend another set of songs? Try x-ray dog. They produce soundtracks for movies. Epic and inspirational! Hi Anon, thanks for the suggestion! I will definitely check out x-ray dog! Zimmer’s songs are amazing! Fantastic how he inspires so many with his soundtracks! i want fb page only for motivational and inspirational song. so please create a link,if it does not exist. Maestro by Hans Zimmer, from the movie “The Holiday”. Great suggestion. You can find it now in the article! Flight by Hans Zimmer from Man of Steel is amazing in my opinion and is also one of the great scenes in the movie. Hi Micheal, I cannot wait to listen to Zimmer’s Man of Steel Soundtrack. I haven’t had the chance yet, but will give it a go the next few weeks. I included your suggestion into the article as I already know that it must be a great one. Thanks for your suggestion. Steve Mueller, you have a great list of soundtrack music here, I’m glad you have a lot from contemporary genius Hans Zimmer. I’m an aspiring writer and I listen to soundtrack music everyday. I was hoping to see more Trailer Music since it’s quite similar though the tracks tend to be shorter. I was happy though that you mentioned Freedom Fighters by Two Steps From Hell as a suggestion. Though Hans Zimmer is my favorite composer, I’m hugely into Two Steps, Audiomachine, and Globus for trailer music. Also there is fantastic music not only in movies but games, classical, tv shows or anime series. Here is a list of my favorite soundtracks, hopefully you get to see some new tracks you probably haven’t heard before. – This list can go on forever…. Sorry for the length of the comment, I just really enjoy reading about other people’s favorite pieces of music so I had to give mine. Have a Great Day! wow that is a huge list. Thanks a lot for submitting it, I will sure check it out! Thanks again, it’s always good to see lists from other soundtrack fans. Hey guys if you watched homeland(season 2 episode 4) (New Car Smell) where Brody is being taken from a hotel room, Theirs this soundtrack that was playing if you happen to know it by any chance please post it here..Your help will be appreciated..
Hi Arthur, the soundtrack to this season comes from Sean Callery. However, I wasn’t able to identify the song you mean! Thanks for the list! I was looking for information on the book of Eli. I also noticed some great tone in the “Prometheus” soundtrack. I was surprised not to see Peter Gabriel’s soundtrack to the movie “Birdy”. Hi Scott, I will definitely have a look at Peter Gabriel’s soundtrack. I wasn’t aware of this so thanks a lot for informing me. No problem Steve, As a youth of the 70’s and 80’s we didn’t have a lot of dedicated inspirational music, just the gold standard instrumental’s from I.Q. band’s Like early Floyd, Yes, King Crimson, and Emerson Lake Palmer. So thank you and your generation, the future will be brighter! You are absolutely correct.But somehow I have the feeling that in the modern times the situation is changing. Once there was not enough good music and now there is a lot of music that is published for various kinds of movies but the quality is really decreasing. I love all of Hans Zimmer’s works. Absolutely amazing to study to and get that creative side out of you. But where is Rocky’s theme? I would have loved to see that up there (creative, inspiring etc.) Anyways, good list! Hi Josh, thanks for the feedback. You are absolutely right, Rocky is indeed missing from this article. I don’t know how I could forget this soundtrack. I’m including it in the list now. It was very interesting to read your post. I fully agree. Sometimes I get diverted from concentrating on the task by the music “beauty”, but most of the times the motivational factor takes over. It’s true in my case my job is only partially creative. Anyway, will use some of your suggestions. I’d also add songs from Fallout 1 and 2 (videogame). Mark Morgan made these and i find it also inspirational. I would add “Lady in the Water” from James Newton, “Cool Runnings” and “True Romance” from Hans Zimmer, and finally “Just Visiting” from John Powell as well. Thank you for the fantastic suggestions. I have included these in the article. I think your list is missing “Lux aeterna” from Clint Mansell (requiem for a dream). Awesome and moving theme. Ps: I’m a Hans Zimmer lover too! by Thomas Tallis. A masterpiece inspirational and motivational. I didn’t knew this one. It’s now included in the article. Thanks for your suggestion. Fantastic suggestion Jose, I have included it in the article. Great list! Thanks for the great music choices. Needed some good study and meditative music. Thanks Anthony, I’m really glad you like it. add Perfume: The Story of a Murderer (2006).. its soundtrack”s jst masterpiece, not much in a discussion.. Thanks for your suggestion. The perfume soundtrack is now added to the list. Track of The Matrix Revolution’s Navras must get place in this list. “Time” from Inception is my go to soundtrack. I listen to it all the time, as it is super inspiring. It helps when writing, reading, drawing, or doing homework. Motivation! I also enjoy Ramin Djwadi, who scored Pacific Rim and the Game of Thrones series. Also, TOM PLAYER. Player is an amazing composer. I’d check out his work immediately. The best from him imo are probably Desolation, Gravity, and Resonance Theory. Listen the soundtracks of interstellar, it is one of the best work by hans Zimmer. Hans Zimmer – The Battle – Gladiator soundtrack: That first 30 seconds…. wow get’s you pumped up! Agree with others, Time by Hans Zimmer and Arrival to earth by Steve Jablonsky will alway give me chills. I didn’t know of the white tree. Thanks for this fantastic addition. Probably one of the best movie beginning ever. Thanks, these are nice suggestions. Hi Varun, thanks for these wonderful suggestions! Absolutely, these two songs are excellent. I’ve never seen the movie because it is for children, but the music is awesome. “The Thin Red Line” by Hans Zimmer is absolutely beautiful. So is the soundtrack from “The Pacific”. Listen to the movement in “Light” off of Thin Red Line, it’s spectacular. “Journey to the Line” is another beauty. More great music to write to is E.S. Posthumous. One random movie that I believe had a BEAUTIFUL, INSPIRING Soundtrack was Battle of Beruna from “Narnia”. It’s literally like sound and aglory rising to Heaven. Inspirational and magnificent to the theme it’s achieving. How about the body of work by John Williams (Star Wars, Superman, ET, Raiders of the Lost Arc), or the brilliant Conan the Barbarian soundtrack (Basil Poledouris). These are great suggestions, thanks Dave. Therefore you get my vote as the only list worth aknowledging. Great list, thanks a lot for this Steve! I’d like to recommend the melancholic, rainy-day SPOTLIGHT soundtrack by Howard Shore. It’s put me through my last novel. I’ve played it so often it’s lost some of its evocative power unfortunately. Hello. The best inspirational movie soundtrack is To Be Human by Sia. This soundtrack is found in the movie Wonder Woman (2017). Sia’s strong and unique voice makes the scenes more inspirational and epic. Have a nice day! Nice Start – I think you have missed several favorite inspirational songs of mine….if anyone has similar tastes, please post your songs as I am always looking for new music!